One of the best example of Self Join, I have seen in an SQL query Interview questions is "How do you find all Employees who are Managers in Employee table", which is commonly asked along with another popular question how to find second highest salary of employee or questions related to join three tables in one SQL query. In this SQL tutorial, we will learn self-join by example while solving this SQL query. In order to solve this query let's first see schema and data of Employee table. In this example of self join, we have joined employee table to itself by using two table aliases e and m. We have also used distinct keyword to remove duplicates here. You can also say this is an example of EQUI JOIN because in join predicate we have used = or equal condition. In fact, this one is an example of INNER Join, SELF Join, and EQUI Join at the same time. In the short major difference between Self Join and Equi Join in SQL is that Self Join requires only one table while most of Equi join is condition used in join predicate. 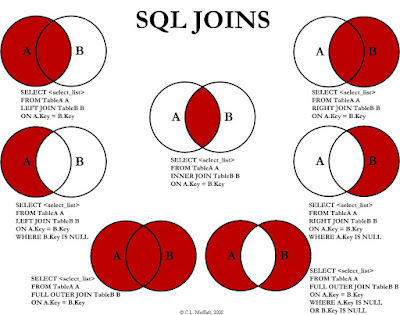 Since Equi Join is based on the condition for comparison, it can occur in any INNER, OUTER or SELF join in SQL. That’s all on the difference between Self Join and Equi Join in SQL. Self Join is one of the important technique to solve many SQL query related problem where two columns of the table contain the same type of data e.g. here emp_id and dept_id are essentially same data. Equi join is about condition, if your WHERE clause or ON JOIN condition uses = equal operator it's known as equi join, but if you use != or less than, greater than or any other condition, it will not call equi join. select emp_id, emp_name from employee where emp_id=mgr_id; ??? how can i do know when i have to use a SELF JOIN or a simple query on the table? ?